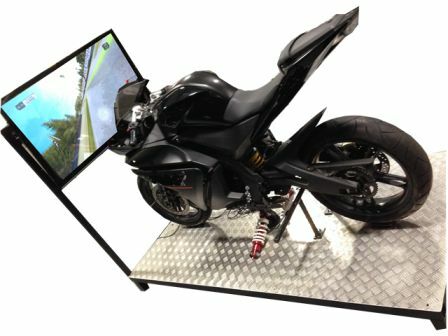 This incredible motorbike simulator is based on a real motorbike giving it incredible aesthetics. 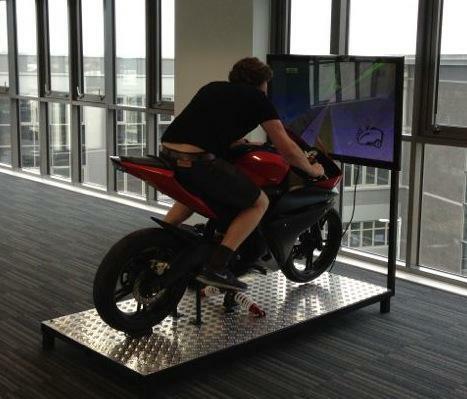 The bike actually leans over to simulate concerning on a motorbike and it propelled on screen with the throttle. 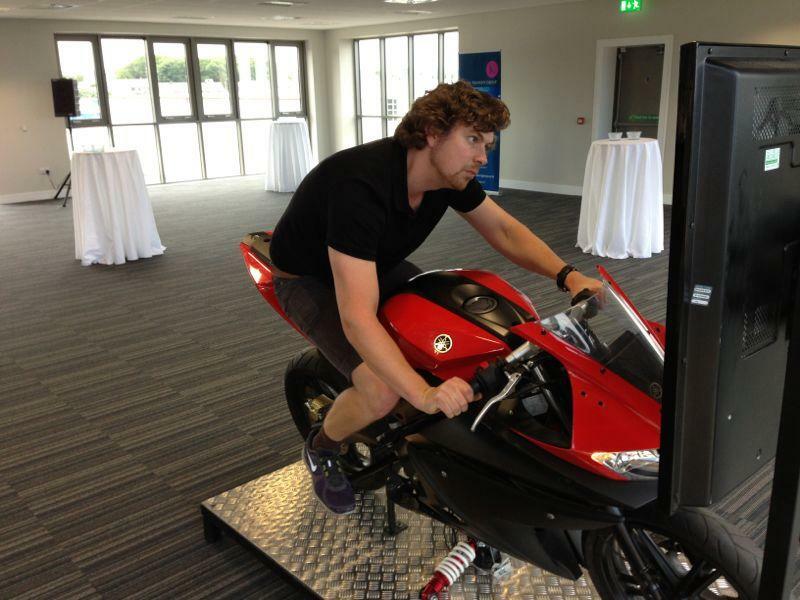 This simulator is available to hire for functions, events and festivals. As you can see from the video, it looks exciting and engrossing to play and will make a major attraction to a show or exhibition. 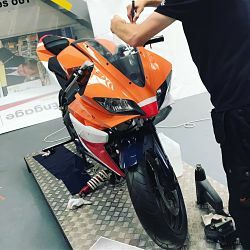 They can also brand parts of the motorbike to help with brand promotion, please ask about our branding service. If you’re looking for a new and exciting attraction or a fine addition to our other amazing simulators, this is the one. They run the Moto GP on this bike and all the action is shown on a full HD 50″ screen. I would just like to say thank you, the team and Wesley for the smooth operation and professionalism in hiring out the motorbike simulator. Overall the whole experience of dealing with you all has been fantastic and I would highly recommend you to people and fully intend on working with you again.